Taylor Swift and her new boyfriend reportedly enjoyed a summer couple's retreat with Hollywood couple Blake Lively and Ryan Reynolds. 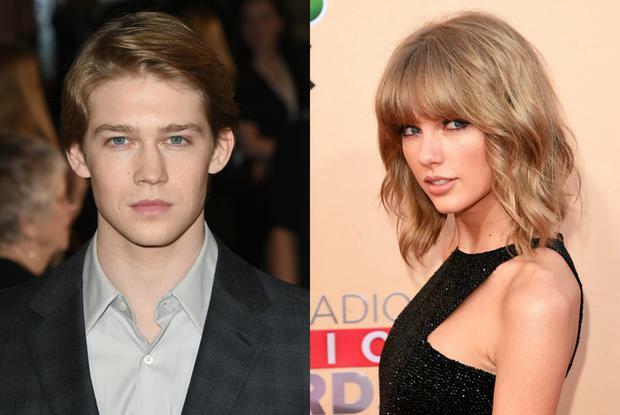 The Blank Space star spent two days cosying up with her British actor beau Joe Alwyn at her Rhode Island mansion last week, and according to Us Weekly, the lovebirds met up with the actors for a double-date. The mini-vacation came to an end on Saturday when Taylor and Joe headed back to her New York City apartment, while trying to avoid the paparazzi. Sources claim the couple has been going to extremes and wearing disguises when leaving the singer's Big Apple home in an attempt to keep their romance out of the headlines. “Taylor had her massive security team set up so it would look as though (she) was going to walk through the front door, but then a security car pulled to the back of the building and Taylor and Joe ran in wearing matching hoodies and covered by umbrellas," a source says. The new couple reportedly started dating earlier this year following Taylor's break-up with another Brit, Tom Hiddleston. Her highly-publicised summer fling with the Thor star ended in September, and Taylor apparently believes the publicity surrounding the relationship contributed to the split. “Taylor and Joe are the real deal, this is a very serious relationship," a source recently told U.K. newspaper The Sun, "but after what happened with Tom Hiddleston, they were determined to keep it quiet." Meanwhile, Blake and Ryan have become good friends with Taylor in recent years - they featured in a 4 July photo, which also included Swift and Tom, from last year, when the foursome were all part of a get together at Taylor's beachside retreat.